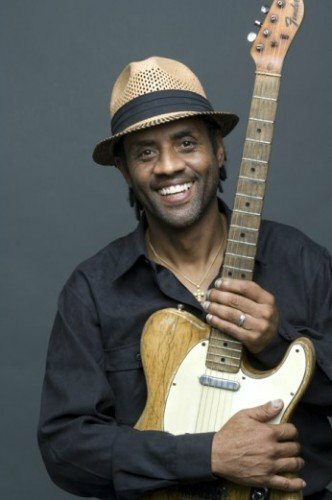 Kenny Neal (born October 14, 1957 in New Orleans, Louisiana, United States), son of Raful Neal, is an American blues guitar player, singer and band member. Neal comes from a musical family and has often performed with his brothers in his band. Neal preserves the blues sound of his native south Louisiana, as befits someone who learned from Slim Harpo, Buddy Guy, and his father, harmonica player Raful Neal. In 1987, Neal cut his debut album for the Florida record producer Bob Greenlee — an updated swamp feast initially marketed on King Snake Records as Bio on the Bayou. Alligator Records picked it up the following year, retitling it Big News from Baton Rouge!! In 2016, Neal's album Bloodline received a Grammy Nomination for Best Contemporary Blues Album. Neal recorded “Bloodline” in Nashville, Los Angeles and Baton Rouge. He co-produced it with Buddy Guy’s Grammy-winning producer, Tom Hambridge.